Designed by Sir John Soane in the early 18th Century, Micklefield Hall stands in a fine parkland setting and yet is less than 25 miles from central London. 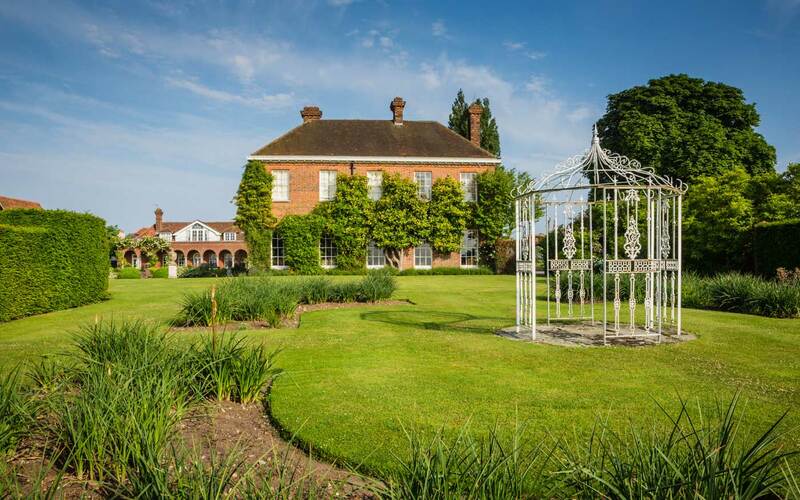 This elegant Grade II Listed Georgian House looks out over magnificent gardens and enjoys a stunning location just two miles from the Chorleywood. The Great Barn was originally built in 1580 and was moved to its present site in 1745 when the house was built. 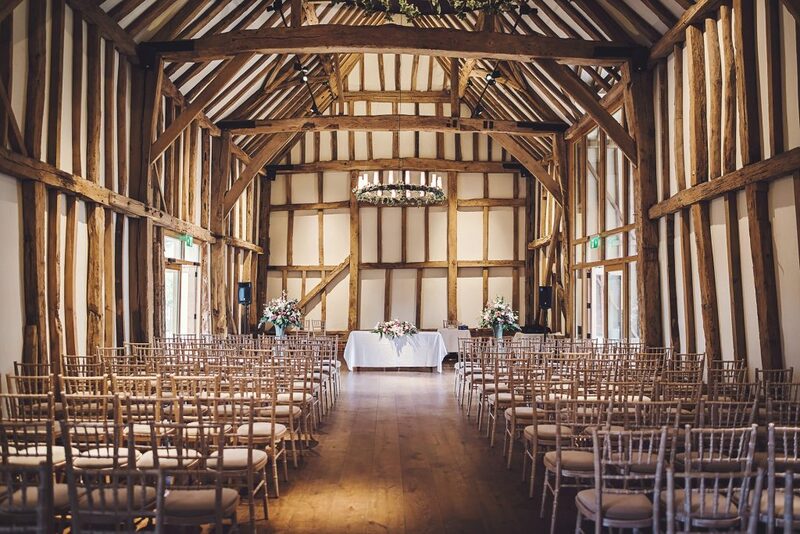 This listed barn, with its original beams dating back to 1490, has a very impressive structure. Having lain redundant for 50 years, Anna & Jamie came up with the plan to use it for events – thus saving this very special building from dereliction and preserving it for generations to come. Work began in 2010 and was completed in 2014. The restored Great Barn was the winner of the 2015 Chilterns Building Design Award. The now beautifully restored 16th Century Barn will seat up to 200 guests. With a separate bar, bridal changing room, luxury loos, sophisticated lighting, oak floors, under floor heating, air conditioning and purpose built kitchens, means every detail has been carefully considered. Interesting quirky features include a cloistered walkway, garden room with an open log fire and a French fountain and these are what make The Great Barn at Micklefield Hall a genuinely unique venue.